Ígulfastr(?) and Veðraldi raised this ... in memory of Spjallboði, their father. 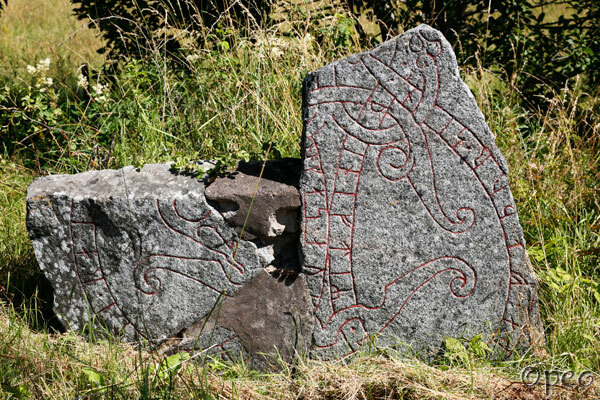 This badly damaged rune stone is standing next to the parkway that leads up to Vik castle.